Although CNC has its huge operating system, it can't ignore the inconspicuous connection point fasteners on CNC machines. Small, it is also the development advantage of fasteners. Because it is small, it is flexible and light. Fasteners are the foundation of industrial development. The quality of fasteners seriously affects the quality of industrial products. Actually, it is not only industrial. Many products in the industry are inseparable from fasteners, which is determined by their wide range of applications. Behind the construction of large behemoths, there is an indispensable role for small fasteners. Although they are only small participants, they have a crucial influence. Due to the importance of its convergence, consumers have become more interested in brands in their purchases. 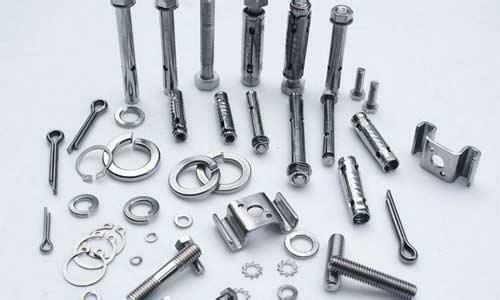 The blind pursuit of the interests of the market, once upon a time, also quietly changed the brand, China's fastener market has gradually emerged a lot of things related to brand building: fasteners brand products, fasteners brand companies, fasteners brand market. There are also many market segments that are beginning to emerge, such as nuts and teeth. The expansion of market share of brand enterprises is the most effective proof of the success rate of fastener companies in creating brands. To make the most basic quality of the smallest fasteners possible, through the just competition to expand the brand influence of fasteners, it is believed that the industrial meter of fasteners will be able to produce a good porridge of industry.